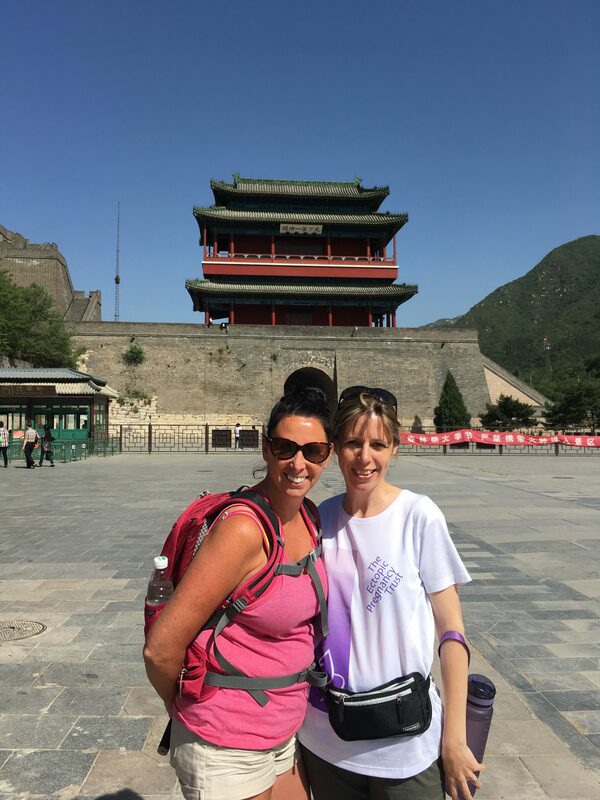 This is the last part in my China trek series as I took part in a charity trek along the Great Wall of China to raise money for The Ectopic Pregnancy Trust. Last time I conquered the Heavenly Ladder and was feeling good at all I had achieved. 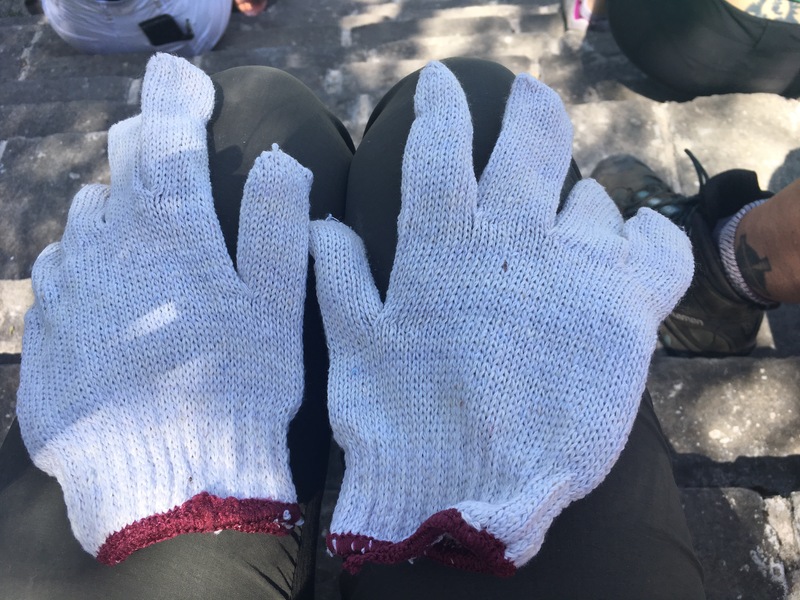 Today would be the last day of trekking on my Great Wall of China trek and we had been told that the short walk in the morning was easy and we wouldn’t need to wear our walking boots. We made our way to a part of the Great Wall nearest Beijing which was quite popular and busy with tourists. We would be making our way up onto the wall for the walk and then along for a time and back down again. 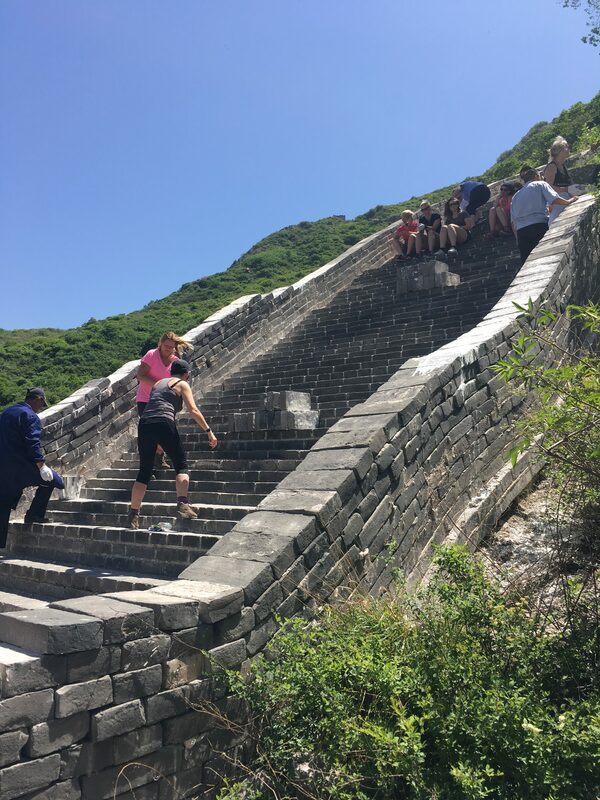 I should have learnt by now that when Michael our Chinese guide said it was easy with just a few undulations that it wouldn’t be that simple! The steps were incredibly steep again and it was a big climb up the flight of steps to the top of the wall. I had put my trainers on this time and was missing the support and comfort of my walking boots. As we walked along the top section of the wall I found it was quite smooth and slippy and I wasn’t completely comfortable with what I’d got on my feet. I’d mentioned earlier on in my trek about the fitness programme I had been following with My Peak Challenge, who help raise money for the charity Bloodwise. There’s lots of planking in the fitness programme and some ladies I know challenged me to plank on the wall. 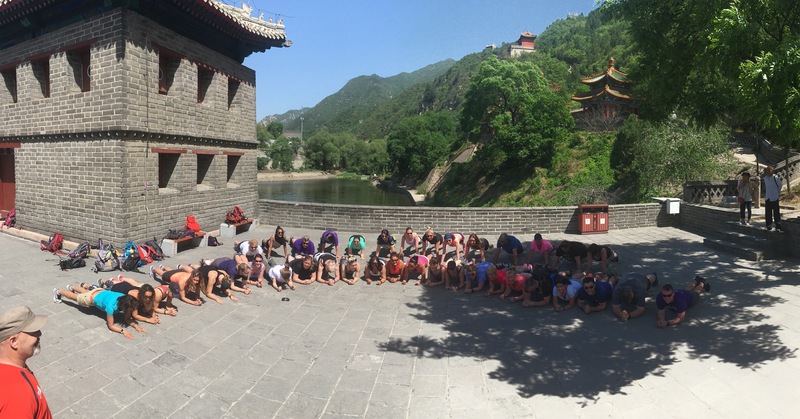 One of my trekking friends suggested we asked the whole group to do a group plank on the wall! When we got to an open flat section the leaders asked everyone to take part in the group plank. 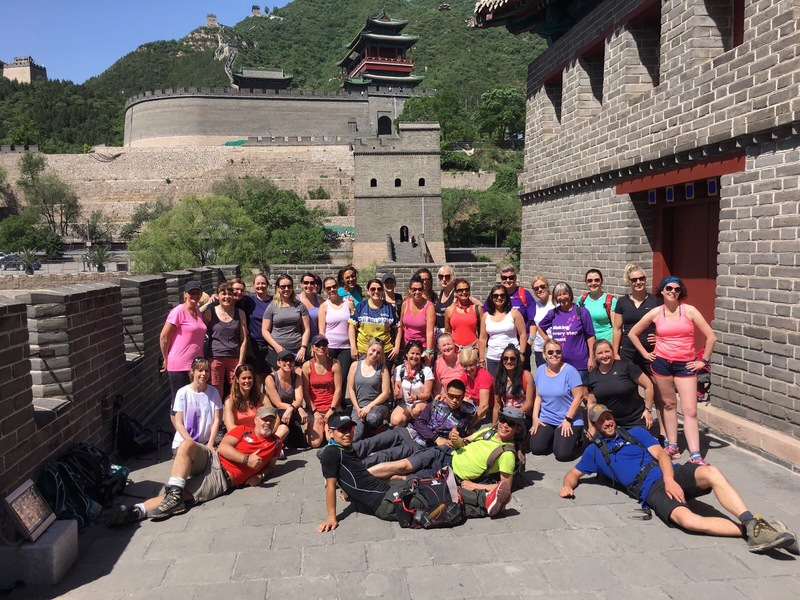 Thirty-eight of us doing a group plank on the Great Wall of China! Incredible and I was so grateful to them for taking part with me. 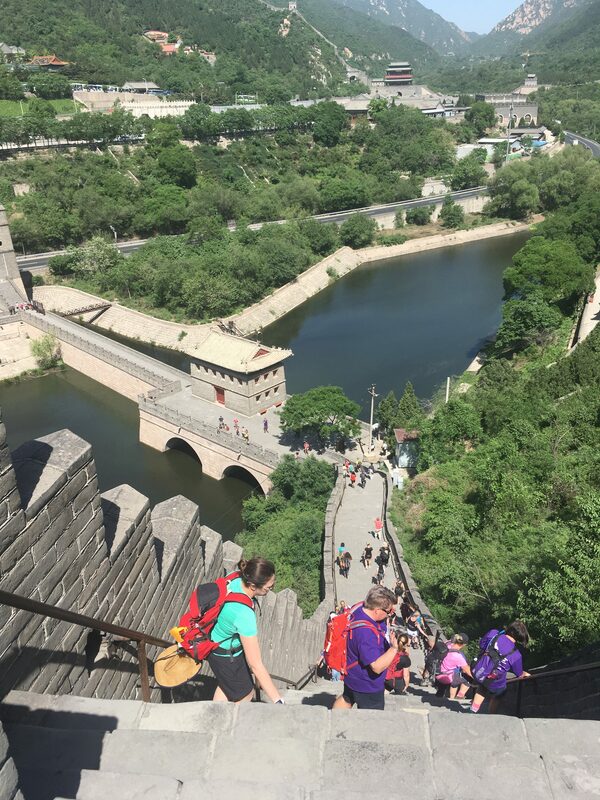 Once we’d made our way back down to the bottom of more steep steps we had a coach transfer to another part of the wall at Badaling. With special permission from the Chinese government we could take part in a restoration project and lay our own brick in the wall with a special note. There had been tears when we were first told about writing the note but as we lined up to take our turn laying the brick I was feeling excited. 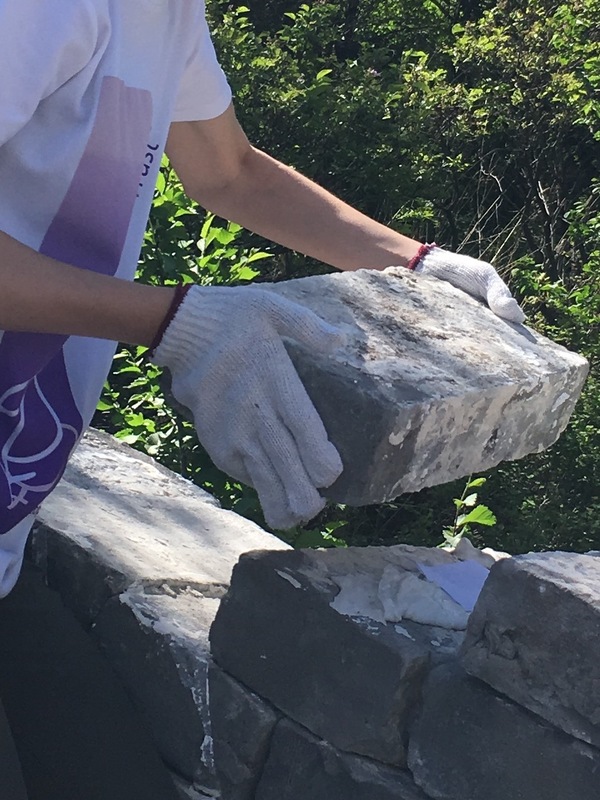 The brick was a lot bigger than I thought and was heavier than anticipated but I placed my brick and note; proud that I had a part in the restoration project and along with others it was dedicated to those who have suffered an ectopic pregnancy and their families. Our challenges were completed and now it was time for some fun and relaxation. I was feeling quite euphoric that I had completed all the trekking and hadn’t embarrassed myself by needing to be air lifted off! 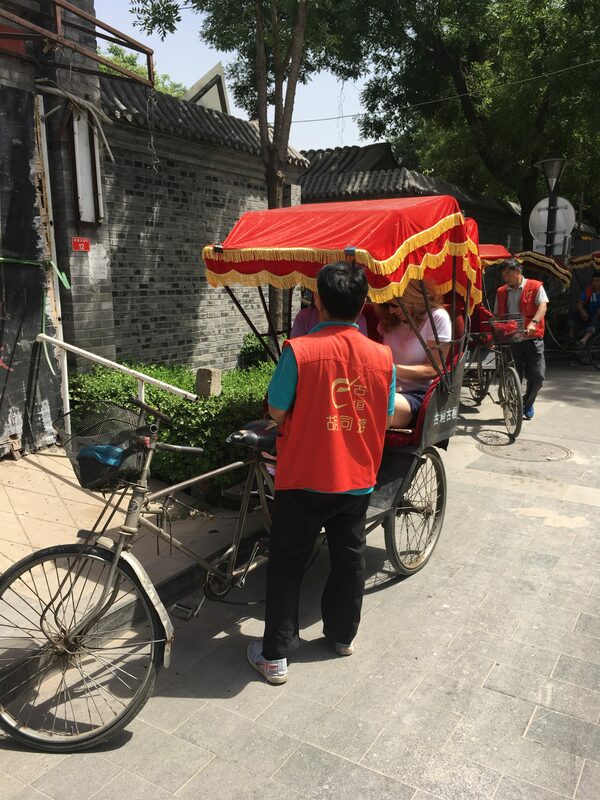 The fun started with a rickshaw ride around the down town area of Beijing, followed by a trip to the theatre to see an acrobat show (which was amazing) and then a massage with about 25 of us in a room which was hilarious. The biggest treat that day was that we would be spending the night in a hotel with fluffy pillows and a proper shower! 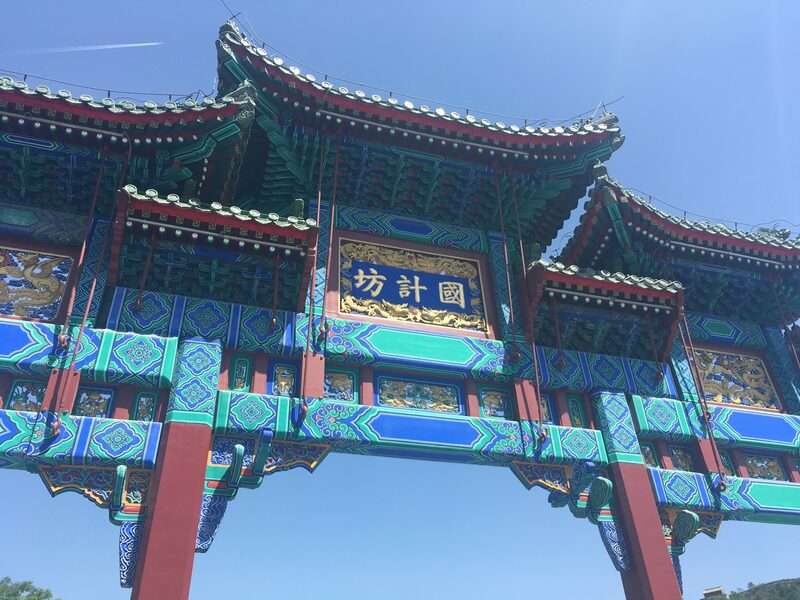 The China trip was nearly at an end and after a day of sightseeing was the flight home. I’ve come back able to say that I’m proud of myself and what I achieved, my hips were fine, I’m stronger than I thought I was, but I always knew I was stubborn and determined! I went on the trip alone and terrified and came back with a new group of friends who I plan on keeping in touch with. With the help of everyone that’s supported me we’ve raised an incredible amount for The Ectopic Pregnancy Trust and hopefully more people are now aware of the devastating condition. 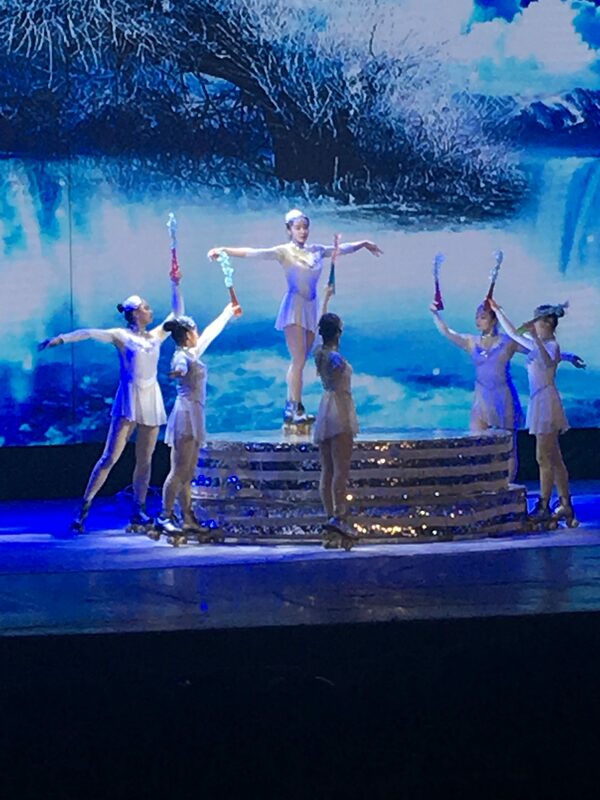 I hope you’ve enjoyed reading my China adventure and that it might have given you some inspiration. I know it’s inspired a few friends to plan adventures of their own. If you’re trekking somewhere let me know, I’d love to hear about your adventure. I’d certainly do it again in a flash and if my family don’t confiscate my passport I may do another trek abroad. What a great series this has been – I’ve loved reading your posts on it. What an amazing experience and to be able to be a part of the restoration and leave a note at the end must have been brilliant. Thanks for joining us on #adventurecalling, I hope you can again tomorrow. I’m glad you’ve enjoyed reading about my challenge. It was amazing to be part of the restoration and know that I’ve had a help in part of it. Thanks for reading! It’s been amazing to follow your story right through to the end. You should be so proud of yourself, what an achievement and what a great way to finish off such a brilliant trip. So what’s next?! Thank you for sharing your story with us #AdventureCalling, I’m sure that you have inspired many people to take on their own challenges. Thank you, I hope I have inspired people to try their own challenge. I’ve certainly got the bug now so who knows there may be another adventure in the future! Thanks for reading. 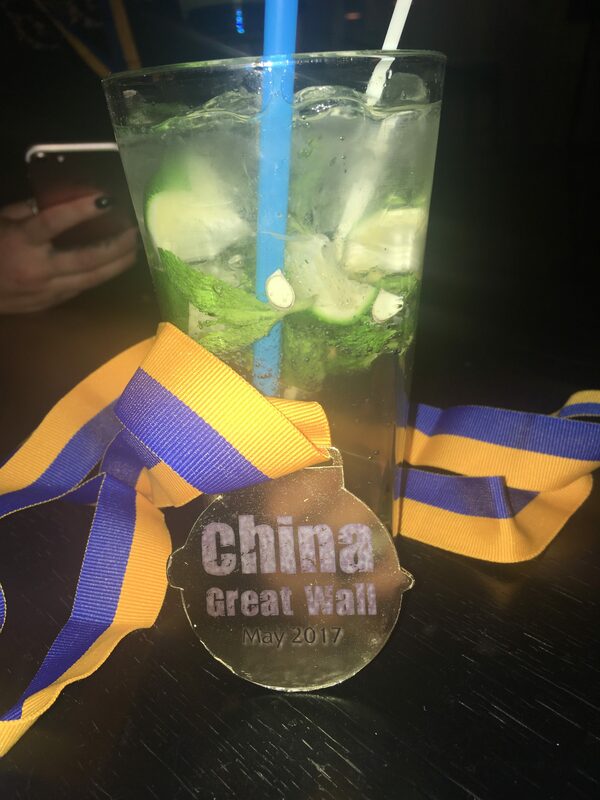 Thank you for reading, glad you enjoyed reliving our China trek!